SELL US YOUR STUFF IN 3 EASY STEPS. you shop at your local HPB. What books get the most money? Think you might have a first edition? Is it valuable? We'll pay cash for your books, textbooks, music, movies, mobile phones, tablets, games, gaming consoles, e-readers and more(excluding Outlet locations)! * You can spend the cash in the store or take it home with you. We pay the most for recent bestsellers and collectibles, but we're also interested in good books, music, and movies of all kinds. The primary factors we consider when buying used merchandise of any kind are: 1.) condition 2.) supply and demand. We donate overstock inventory to nonprofit agencies around the world and strive to recycle what we can't donate. Read more about donations. You may bring your merchandise to sell to your local HPB store (excluding Outlet locations). The buyer will ask you to present a valid form of government-issued photo identification. Sellers under 18 must be accompanied by a parent or guardian. We are not able to make estimates or offers from a list; buyers must see the actual items. and feel free to send him your question. 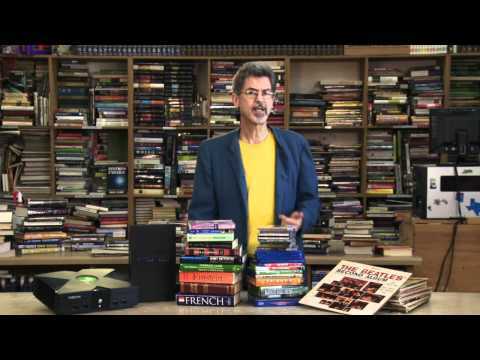 Buy Guy Steve Leach has been a buyer for HPB since 1985, and during that time, he's been asked a lot of questions about how we determine the value of books and music. We pay the most for recent best sellers and collectibles, but we're also interested in good books, music, and movies of all kinds. We donate overstock inventory to nonprofit agencies around the world and strive to recycle what we can't donate. You may bring your merchandise to sell to any of our Neighborhood Stores (excludes Outlet locations). We are not able to make estimates or offers from a list; buyers must see the actual items. If you have any questions about merchandise you want to sell, please use the form at the bottom of this page. Here are some examples of the types of questions we are often asked. Can you tell me what you'll give me for a certain book? I’m afraid I can’t make an offer or estimate on behalf of a store. A buyer in the store would need to actually see your books (or games, LPs, or whatever) before an offer can be made on them. It's hard to evaluate any item without seeing it and touching it, and then offer money for it. Also, factors of supply and demand in each location help determine offers. I can usually let you know in general terms how interested we are in a type of book or music; I can tell you whether or not stores see it come in often, whether or not it's out-of-date, or whether or not it may have some collectible value. I want to be helpful, but I don't want to mislead you, or to make promises the store buyers can't keep. What types of things do you buy? Well, we buy books, of course - hardbacks, paperbacks, new or old. We also buy music in most formats, including CDs and LPs. We buy movies, magazines, textbooks, audiobooks, video games, mobile phones, tablets, game consoles, accessories, and e-readers. And we buy collectible books, music, and ephemera. How does the buy process work? All of our locations (except for Outlet locations) buy all types of printed and recorded merchandise, all day, every day. No appointment is necessary - just bring what you'd like to sell to a store near you. We make cash offers while you wait, and our offers are for everything you bring in - you don't have to take anything back! And you may use the cash however and wherever you like. Just remember to bring along a valid, government-issued photo ID when you bring your books, music, or movies to sell. Determining the value of books and music isn't an exact science, but there are primary factors we always consider when buying used merchandise of any kind: condition, and supply and demand. Why do you need to see my ID when I sell to you? Because we are dealing in cash transactions, we need to keep records of where our money goes. What kinds of ID do you accept from customers who sell stuff? Our policy requires a current, government-issued photo ID card. It also states that additional state or local requirements may apply. The policy notes "that a driver's license, a military identification card, or any identification card issued by a government agency" may be suitable forms of seller identification. We don't ever need documents with your Social Security account number. Foreign documents issued by a government agency, such as a passport, also meet our ID requirements. Sellers under 18 must be accompanied by a parent or guardian. Why do you need my phone number when I sell to you? We ask for your phone contact information in case there's any need to follow up with you on the buy transaction. While it doesn't happen often, we occasionally find personal items left in books, or find out after an offer is made that there is a book of greater value than we realized when we made the offer. This information is not seen by anyone who isn't directly involved in the buy transaction or buy transaction supervision. Why do I have to stay in the store while you're looking at my stuff? We ask sellers to remain in the store to a) prevent buys from becoming mixed up, and b) to expedite our cash offers. We deal with large quantities of merchandise in limited space and want to make sure we keep track of your merchandise while it still belongs to you. Do you buy electronic devices? We don't buy security alarms or toasters, but we do buy smartphones, tablets, game consoles, e-readers, digital music players, and turntables. We like to make sure that the item is in good working condition and has its key accessories. Devices should be fully charged. What about video games and computer games? We like to see video games and computer games that have their original packaging. We can't buy or sell games that have been registered to a single user or that are online user-only. So, what kinds of books do you like to see? Basically our stores are going to pay a higher percentage for books we see less often. Any book that's a current bestseller is generally going to get the highest offers. Titles that are recent bestsellers, but that have been superseded by other titles, tend to be what we see the most of (such as last year's John Grisham novel.) We wouldn't pay as much for those as for newer ones, because our supply would be relatively great. We also like the solid, perennial classics in every field, from fiction to kids' books to history to science; with non-fiction, the more specific the the topic, the better, and with the sciences, the more advanced or technical, the better. And what kinds of books do you hope not to see? Well, let me say again that we will be happy to look at anything printed or recorded and make an offer. Some of the types of books we tend not to be able to pay as much for include former bestsellers; subjects that date poorly (almanacs, humor, test books, political science); older editions of textbooks and marked or slightly damaged books. Those items we have trouble selling may end up in our Clearance section or be donated. We donate hundreds of thousands of unsold books every year to schools and non-profit organizations around the country and overseas. How many books can I bring in at one time? There's not really a limit to the number of books you may bring in. Large quantities may take longer than our average waiting time (15-20 minutes) to be evaluated. Buyers will be on hand to assist you in bringing them into the store. What about book club editions? Most book clubs produce inexpensive editions of popular titles, and these seldom have much resale value. Unlike many book dealers, however, we do stock them, so we won't turn you away if you bring them in. Our price on book club editions is below our average hardback price, and those that we see often are sold very inexpensively by the box as "Books By The Yard." Our offers on book club editions are based upon supply and demand. Those we have few or no copies of will warrant a little more attention at our buy table. We do buy CDs. When you bring them to us, make sure they’re in their original packaging. We do also buy and sell LPs. There is a growing segment of our customer base that loves the LP format, and our LP supply is richer than ever. But there are some artists and genres we always need. Among the categories of music we like to see are fifties and sixties mainstream jazz (and any jazz before that), rock classics from the '50s to the '70s, hip-hop, metal, punk, bluegrass, blues, and, really, anything that's unique. As far as the pop icons are concerned (Aretha, Elvis, Miles, John and Paul, and others of their stature), the earlier they are the better, and the closer an LP is to the first pressing the more desirable it is. Make sure that the records and CDs you want to sell aren't too scratched. Condition is integral to value. We also take cassettes, 45s, 78s, and 8-tracks. We have very little demand for these formats, but we like to keep them in stock. We buy and sell DVDs and Blu-Rays. We also still buy and sell VHS movies, but our prices and offers have fallen off as customers have converted to the digital formats. We are most interested in current hit movies, perennial favorites and classics, uncommon television series sets, and foreign films. We tend to have an overstock of out-of-date hits, how-to movies, TV shows that are available on streaming services, and budget titles. We get a lot of Disney movies and other kids' movies, but there are many we're still interested in. DVDs and Blu-Rays we buy must include their complete original packaging. Do your stores sell used software? We only buy used video games and educational and children's software. We like to have the complete packaging, and as with everything else, some formats and titles sell better than others. Due to a number of software industry changes, including product activations and license agreements, we don't feel that we are able to satisfactorily guarantee used higher-end software products like office applications and operating systems, so we no longer buy them unless they're still sealed. What kinds of magazines do you buy? We prefer the most current issues of magazines, but they tend to accumulate quickly, so we can't pay a lot for them. We are able to donate or recycle magazines we can't sell. Also, many magazines dating from the sixties and earlier are collectible and sought-after, particularly those with celebrity covers, including Life, Sports Illustrated, and most Hollywood and film-related periodicals. Any covers that feature a pop culture icon (Marilyn, Willie Mays, JFK) have a good chance of being collected by a number of people out there, and we'd be happy to evaluate them for you. If I didn't sell my textbooks back to the college bookstore, would you be interested in them? We’ll give you a competitive cash offer on the most current editions of any textbooks, and we’ll also take older textbooks. As a rule of thumb, the more specific and/or scholarly the textbook's topic is, the more lasting its value. Business texts, along with sociology, computers and government, fall at the least durable end of the textbook spectrum. To learn more about selling us your textbooks, visit our Textbook page. How important is the condition of non-collectible books I bring in? It's a good idea to take good care of your books. Take a look at these Book Care Tips. If your books are later editions or are the types of books bought mostly for information or entertainment, condition is not as relevant - the book buyer just wants to know it's all there and doesn't smell funny. Minor wear, owner inscriptions, minimal highlighting or underlining, and other defects may reduce the amounts offered for books (and their prices in the store), but we usually can still take them. Printed ephemera are paper collectibles other than books and magazines. Items that fall into the category of "ephemera" include postcards, advertisements, movie and other posters, playbills, maps, historical documents, product labels and packages, and many more items. They are mementos and symbols of our social and cultural history, from sheet music for "St. Louis Blues" and fashion ads to beer bottle labels and Jimi Hendrix posters. Do you buy library books? We will make offers on library books if it's evident that they've been withdrawn from the library, and provided the condition is acceptable and the subject matter is not oversupplied. * Half Price Books is your source for buying and selling secondhand books, music, movies and games. However, not all HPB stores buy electronic devices such as mobile phones, gaming consoles, and tablets. Please note that Outlet locations do not buy from the public. Please visit our other retail locations to sell your stuff. Thanks for shopping and selling at HPB.